The unseasonably warm weather continued today. With a high around 54°, it felt more like October. I took the motorcycle out along Route 109 to 27 to Route 16, past the Weston Ski Track, where they weren’t making snow yet, to Route 30 and back. I then loaded the bicycle into the car, and took a ride along the Charles. My legs have been stiff and sore lately, so at the start of the ride, I wasn’t sure how far I could ride, but by the time I hit the Mass Ave Bridge, things had loosened up nicely, and I ended up going as far as the North Harvard Street bridge. It was beautiful around the river, but the earliness of the sunset was a reminder that it really is December. I’m wondering how long it will be before the weather catches up. 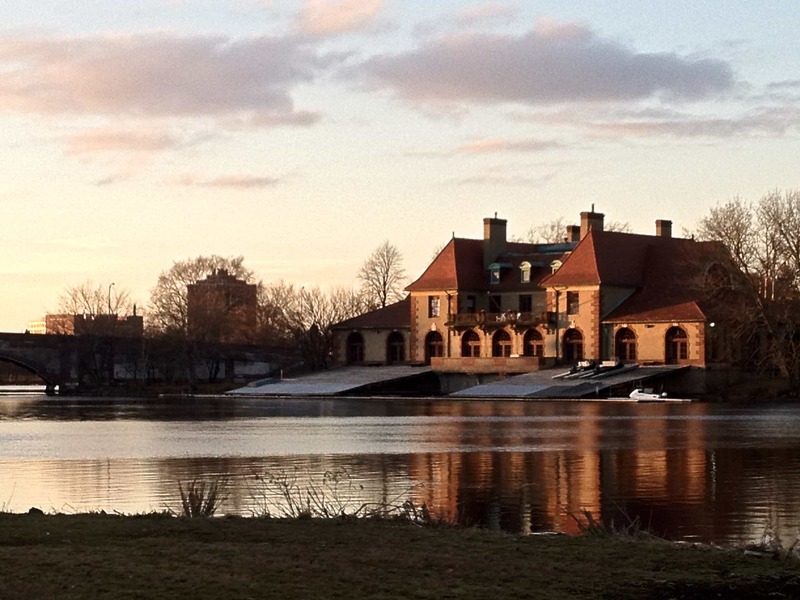 This entry was posted in Photography and tagged Charles River, iphone picture, motorcycle by Ted. Bookmark the permalink.